UN Special Rapporteur Prof. James Anaya has called for &apos;urgent&apos; action on water for the Bushmen in Botswana. The UN’s top official on indigenous rights has condemned Botswana’s continued persecution of the Bushmen in a new report. 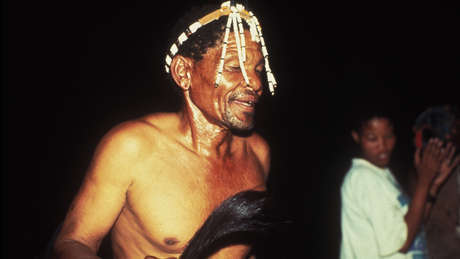 Prof. James Anaya, UN Special Rapporteur for indigenous peoples, highlights the government’s harassment of the Bushmen and Bakgalagadi tribes in the Central Kalahari Game Reserve, who, despite winning a 2006 High Court ruling that their eviction from the reserve was unlawful, continue to face ill-treatment. Finally he recommends that the Government should ‘fully and faithfully implement’ the 2006 High Court ruling and facilitate ‘the return of all those removed from the reserve who wish to do so, allowing them to engage in subsistence hunting and gathering in accordance with traditional practices, and providing them the same government services available to Botswanans elsewhere, including, most immediately, access to water’.